Lock in a great price for Woodvale - rated 9.6 by recent guests. Excellent location a few minutes walk from the loch, Beautiful B&B, both outside and inside. The room was very nice, and the bed was very comfortable. Breakfast was delicious with lots on offer. It was very clean throughout. Extremely warm and welcoming place to stay. Perfect location for us as we were going to a wedding at Boturich Castle. Derek and Elaine were an absolute delight and very accommodating - they even offered to arrange our taxi to the wedding, and when we checked out they offered us a lift back to the station, though we declined as we decided to walk through Balloch Castle grounds which is only a short detour. Breakfast (full Scottish) was great, and the room was lovely - spacious, clean, a bit of wardrobe space, tea & coffee, sockets by the bed for overnight phone charging, hairdryer, and a nice bathroom. They also provided little extra touches like cotton wool pads, bottled water, and left extra teabags and milk easily accessible so you didn't need to ask for them. Overall the service was super friendly and bubbly, very personal service, and seemed to have thought of everything. Absolutely no complaints and wouldn't hesitate to stay again. Nice place to stay,not far the town and railway station.Nice walks along lock Lomond are also close by. Our accommodation was very clean,breakfast was A1 ,owners were also very nice. I would travel out of my way to visit this Guest House if I was in the area again. The owners were lovely, friendly and good at the job! Our hosts were very friendly and went the second mile to ensure we had a lovely stay. The hosts were absolutely great. Felt very well taken care of. Very good breakfasts and the room was lovely. Close to Balloch Castle Country Park, Woodvale is situated in Balloch and has a garden. Free WiFi is offered. A flat-screen TV and DVD player are available in some units. Guests at the bed and breakfast can enjoy a Scottish or continental breakfast. 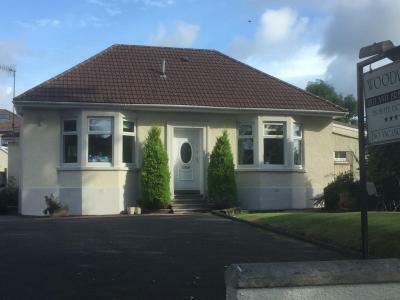 This property also has one of the best-rated locations in Balloch! Guests are happier about it compared to other properties in the area. 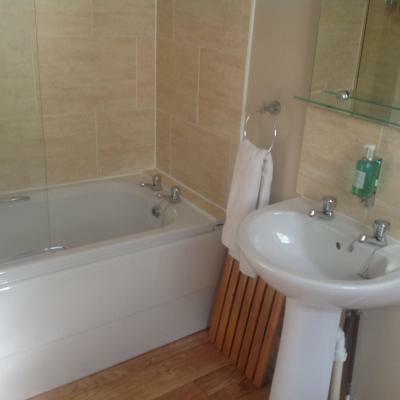 This property is also rated for the best value in Balloch! Guests are getting more for their money when compared to other properties in this city. Woodvale has been welcoming Booking.com guests since 17 Aug 2018. Good for couples - they rate the facilities 9.5 for two-person stays. When would you like to stay at Woodvale? This double room has a flat-screen TV and electric kettle. This twin room has a electric kettle. This family room features a flat-screen TV and electric kettle. House rules Woodvale takes special requests - add in the next step! Bankcard Woodvale accepts these cards and reserves the right to temporarily hold an amount prior to arrival. Woodvale accepts these cards and reserves the right to temporarily hold an amount prior to arrival. Great host, very clean and comfortable place and. The breakfast was superb and the host made us feel comfortable as home. Wi-fi signal wasn’t always as good as I would have liked. Very comfortable accomodation and very friendly helpful staff. I really enjoyed this place and I am looking forward to going back. The bed was comfy and room was very clean with a full size bathroom . Breakfast was excellent and hosts were very welcoming.